The Law and Political Science Discovery House is a self-selected group of first-year students who will enjoy the benefits of sharing common residential and academic experiences while making new friends, exploring common interests, and being a part of a close community of peers. Students will benefit from special programs in the residence hall, and having a peer mentor in residence to provide help in answering all those Rutgers questions. 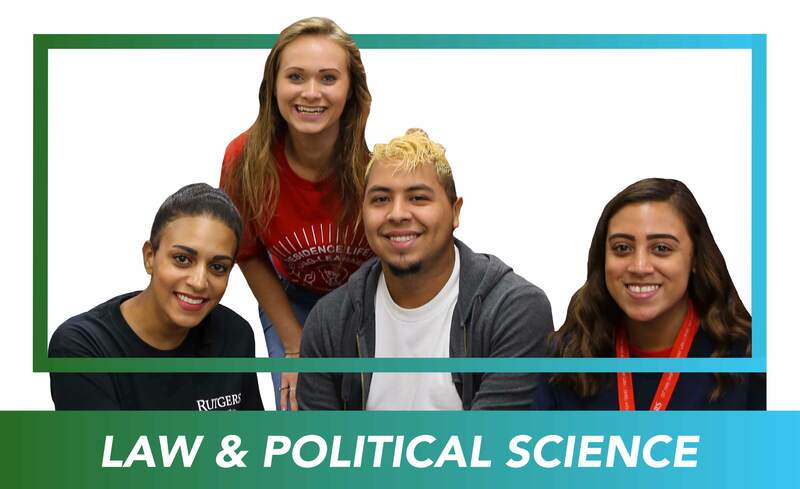 It is a thriving academic and social community that will allow you to engage in programs that will allow you to explore the academic and non-academic involvement opportunities within political science, access to a variety of resources and develop lasting friendships! Students accepted into the community will live in Quad III Residence Hall on the Livingston Campus. The Quads are a residence for first-year students and offer study rooms, laundry facilities, kitchens, house lounges as well as a main lounge. The Quads have lots of green space surrounding them, are adjacent to the Livingston Recreation Center, near Livingston Student Center, Livingston Dining Hall, and walking distance to the Louis Brown Athletic Center (RAC), the Rutgers Cinema, and the recently constructed Livingston Plaza. Students enrolled in the program will get the added advantage/benefit of being able to move in early and participate in a special orientation program in August. This will provide first-years the chance to explore the Rutgers campus, get familiar with the bus system, and find their classes in advance. Note: At your academic planning and advising day, you will be able to choose 2-3 other classes toward your academic interests. This is a perfect balance because it allows you to be both part of a smaller community and have access to all other Rutgers course offerings as well. If you complete any advanced placement and place out of any of the courses you will not be required to enroll in them and will still be eligible for this program. Optional courses for the spring semester will be made available for students to consider. Register the Law & Political Science Discovery House Living-Learning Community as your first choice on the online housing application on the Enrollment Pathway. Complete a Living-Learning Community application by the Priority Deadline of June 11. We will accept and review applications on a rolling basis until the community is filled or we reach our hard deadline of July 2.